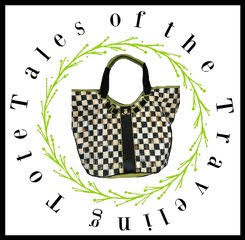 It's Friday, and it's time to fess-up with Aubrey @ High-Heeled Love! I really wanted to participate in the Christmas in July link party, but I just don't have the time. *sadface* I over-scheduled our weekend, too. I didn't want to buy anything for the party other than flowers from the market and food. I confess that I already need to reorganize my desk are in the kitchen and the art studio. Again. I function really well with a schedule, and I'm making out one for these chores I don't normally do during the course of a week. 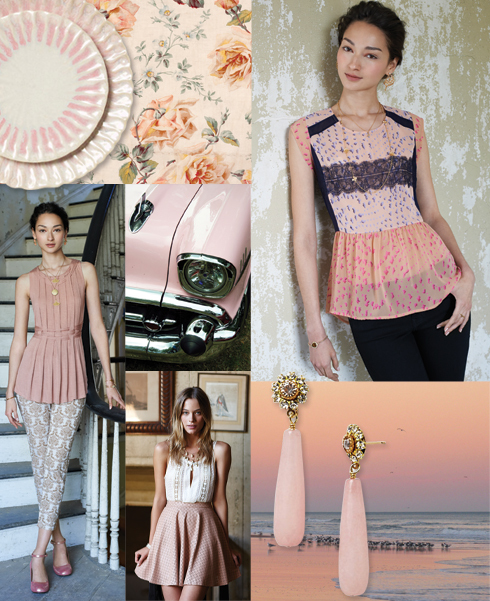 I confess I love this blush mood board from Anthropologie. The cool color is perfect for July, and I'd like to paint a painting in these soothing shades. Wait a minute....I already am! I'll share my latest painting in about 1 - 2 weeks. It's almost done. YAY! You can see how this mood board influenced my flower choices (see above) while at the market. I never have time for everything I want to do either! Vanessa's parties are always the best! I'll be visiting a bunch! I love your flowers! WOW! Sweet hugs! Enjoy your weekend! I love the flowers and the colors in the mood board too! Ack, I know how you feel about over-scheduling, seems to happen to me far too often! I'm looking forward to some downtime this weekend to just BREATHE! Oh my gosh! Those flowers are stunning! Now, the over-scheduling-we all do it. Don't forget to add in wine time too. Jill, I feel a little over scheduled this week too!! Just to many fun things happening in the summer. I love the colors on the mood board!! There really should be an option to add a few extra hours to fit in those things that there just wasn't time for. That's been my excuse for having bowed out of blogging for a couple of months. Time flies when you're having fun! Lovely colors. My week has been very slow with full days at home. I so do not want school to start I am willing it away. It may not come. No I don't want it. Love the warm soft colors. I am pinning away some ideas for changes in the house but the most I have done is clean a couple of closets. Felt good though. I love throwing and donating. I vow never to buy so much crap again. I confess that I never have mentioned to you that I love you blog header with the splatters of paint. I confess that I signed up for Christmas in July and I only have one item finished. That is some beautiful mood board, and I can certainly see why you were drawn to it. Don't wear yourself out having fun! I confess I never seem to get my act together to participate in the Christmas July Party either. And I love everything Christmas! You do manage to read quite a bit which I'm jealous about. I have too many interests I fear. Have a lovely weekend Ricki Jill. 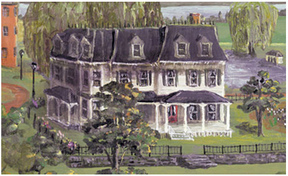 OOooh, I am anxious to see the painting! 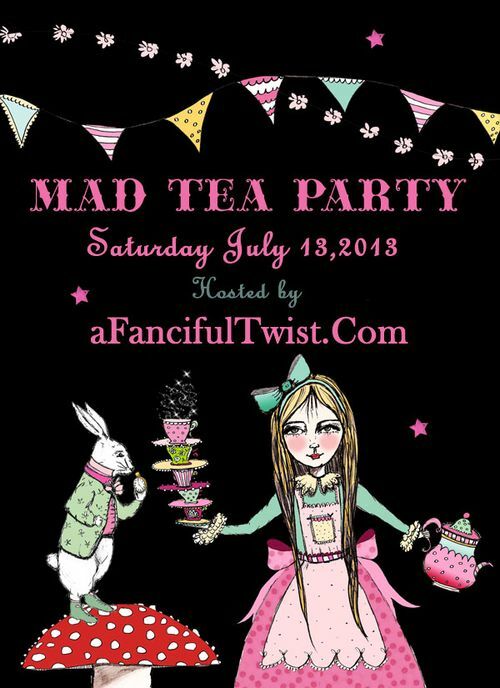 Mad Tea Party sounds like fun, but it's too bad that you didn't get to join in the Christmas in July party too. I love how you always have fresh flowers in your house. Thanks for join the Friday Confessional party. Have a fabulous day!